Just look for the NRA bumper sticker on her car. She looks older than 18, but still, there are a lot of fun and satisfying things a young woman can do other than shooting up schools. She fits half of the stereotype being white, but a woman? That's unusual. I understand and appreciate the abundance of caution. But still: this is a symptom of the present state of things--that we'd rather lock up an entire metropolitan school system because of one person, that we'd rather teach kindergarteners shelter-in-place songs to the tune of "Twinkle, Twinkle, Little Star," rather than write (and enforce) some laws that keep certain guns out of everyone's hands and keep all guns out of certain people's hands. A Massachusetts parent tweeted a photo of lyrics to a "lockdown song" posted in a kindergarten classroom. Methinks meth has something to do with it. She looks about 35-40. Local and federal officials are searching for 18-year-old Sol Pais. 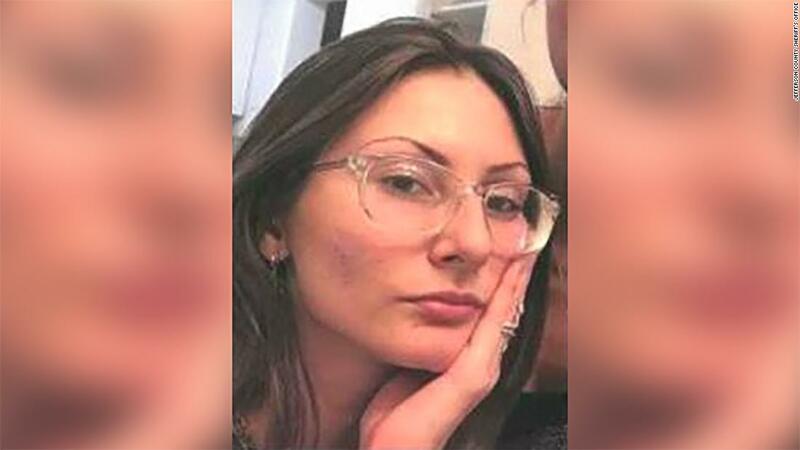 She made "credible" -- but not specific -- threats after traveling from Miami to Denver on Monday night, said Dean Phillips, the special agent in charge of the Denver FBI office. Someone is verified to have bought a gun upon arrival in a city. And having made threats of violence deemed credible by the FBI. But that does not constitute cause for issuing an arrest warrant? Are those supposed to be pictures of the same person? One was taken early in the morning. They never look the same early the next morning. Check out Dave Cullen's book Columbine which examines with minuet detail the shooting and attempted bombing. He debunks all of the theories that were put out at the time on cable news and talk radio from the trench coat mafia to they were inspired by Marilyn Manson and video games. It’s Occam's Razor, They were highly disturbed individuals who wanted to cause the worst terrorist attack in the country. They were highly disturbed individuals who wanted to cause the worst terrorist attack in the country. One thing we know for sure, they were Muslims. All terrorists are Muslims. Pais traveled to Colorado from Miami on Monday night and bought a pump-action shotgun and ammunition. My daughter's high school is one of the ones closed. It looks like they've just closed all schools here between Ft Collins (about an hour north of Denver on I-25) and Colorado Springs (about an hour south down I-25). Dude, this is Colorado. Between "look for the NRA sticker" and "she was wearing a black tshirt and camo pants"... about half of the female population of the state should be sweating this morning. I haven't been on a vacation in 7 years - how can she afford to fly to Denver twice and hang around? Just f**king brilliant! An 18 year old can come to Denver, not old enough to buy a bottle of gin, but she sure as hell can buy a gun with ammo, no questions asked, and threaten an entire city school system. Even if she is already on an FBI watch list!...here, would like that wrapped? Breaking: Sol Pais was located near the Echo Lake Lodge in Clear Creek County after reports of a woman matching her description running naked through the woods with a gun. Investigators confirm she is dead. Apparently, she was 18, although she looked older. She was a senior at Miami Beach High School.